During a divorce, one of the most important things that must be determined is how the assets will be divided. Some people think it is as simple as dividing the estate in half and deciding who gets what. In reality, it’s typically more complicated than that. Some assets, such as your home, cannot be divided in half. 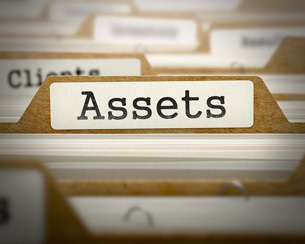 Other assets, such as retirement accounts, would lose value if they were divided or withdrawn. To help ensure you understand your options and the possible consequences for how the property will be divided, it’s critical to talk with an experienced attorney who understands the intricacies of the division of assets. At the law office of Carluzzo Rochkind & Smith, P.C., that is exactly what you will find. We have been serving clients in Manassas, Prince William, Manassas Park, Gainesville, Haymarket, Woodbridge, Lake Ridge, Dumfries, Bristow, Warrenton, Centreville, Fairfax, Stafford, Chantilly, Leesburg, Ashburn, Sterling, Herndon, Reston, Alexandria, Annandale, Arlington, and Northern Virginia for 25 years, and we know what is at stake. Many people move to Virginia for jobs working as FBI or CIA agents, and thousands of other people move to the area for other government jobs. Whether you are concerned about dividing your pension plan or the retirement benefits you earned in the military, it’s imperative to work with a lawyer who understands the tax and other financial implications of the options. Whether you are concerned with protecting your retirement accounts or it’s important to you to stay in the marital home, we can help. Learn more about the representation we offer by scheduling your initial consultation. We can be reached online or by calling 703-361-0776.